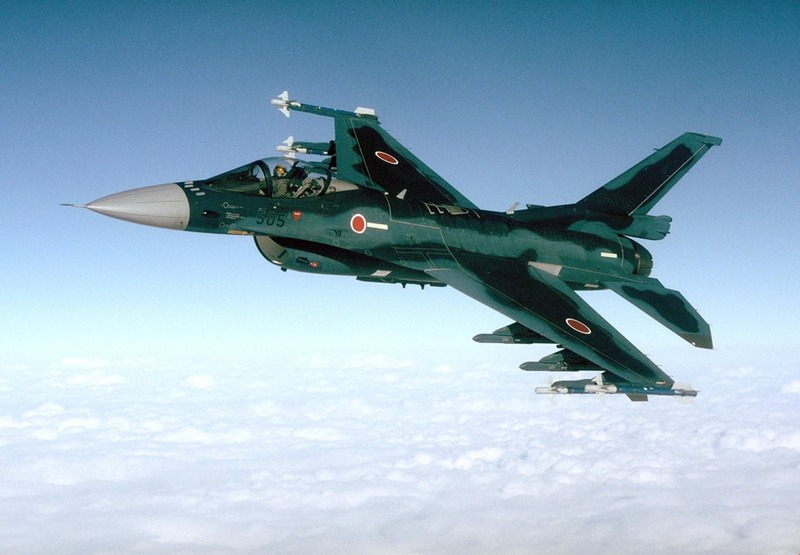 The Mitsubishi Heavy Industries joined Lockheed Martin corporation to manufacture a multirole fighter for the Sir Self-Defense Force of Japan, called Mitsubishi F-2.The manufacturing is done 60% by Japan and 40% by the Americans. In 1996 production started and four years later, in 2000, the first aircraft was entering service. A total number of 94 airframes were contracted and 76 of them entered service by 2008. Other important names participating in the project in various degrees of implication are General Electric (producing the engine), Honeywell, Kawasaki, Raytheon, Hazeltine, NEC, Kokusaki Electric. The aft fuselage, the stores management system, the leading edge slats, major part of the wing boxes, avionics and some other components are provided by Lockheed Martin. The fuselage’s midsection and the doors to the engine and main wheels are built by Kawasaki. The digital system fly-by-wire is provided by the collaboration between Honeywell and Japan Aviation Electric. MHI is doing the final assembly in Nagoya, Japan, at the Komaki-South facility. 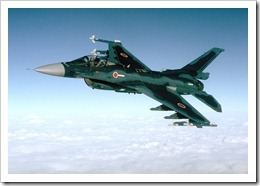 The F-2 is equipped with three display screens, of which one is with liquid crystal, provided by Yokogawa. The safety equipment of F-2 also includes a drogue parachute, as the F-16 has, the model being used by countries like Venezuela, Taiwan, Indonesia, Turkey, Norway, Greece, Netherlands.